Poor access to drug addiction treatment, elevated overdose fatalities, and high rates of drug use land Massachusetts in the top 10 for the worst drug problems in the United States, according to the Worcester Business Journal. Drug abuse and addiction are often exacerbated by socioeconomic factors, such as poverty, unemployment, homelessness, high crime rates, low levels of education, and other factors that can influence mental health and stress. 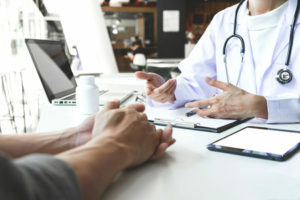 Difficulties getting to treatment, lack of health insurance, and limited local addiction treatment resources can all compound issues related to drug abuse and addiction. Racial diversity can complicate addiction treatment, as individuals may not feel that treatment options are relevant to them. Language barriers can also be a factor in seeking and obtaining addiction treatment. Neighborhoods dominated by people of color or immigrants often have less opportunity for advancement and therefore often face greater socioeconomic difficulties. 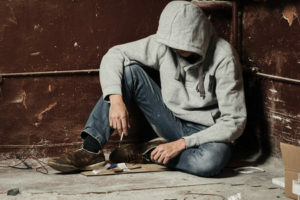 Generally speaking, cities, towns, and municipalities that are hardest hit by drug abuse and addiction are also those where there is a high rate of the residents living below the federal poverty level (FPL), who have low levels of completed education, and high rates of unemployment and homelessness. For instance, the Massachusetts Department of Public Health (DPH) publishes that more than three-quarters of those admitted to public and state-supported addiction treatment programs during the fiscal year (FY) 2014 were unemployed and close to 20 percent were homeless. Binge drinking, illicit drug use, and cigarette smoking are common methods for relieving stress and escaping from problems, albeit temporarily. Peer pressure in economically disadvantaged neighborhoods can be extreme. Essentially, addiction is a complex disease influenced by many factors, including economic ones. When looking at snapshots of neighborhoods, it is possible to notice patterns of drug abuse, addiction, and socioeconomic factors. For instance, areas that record low median household incomes often have high rates of drug abuse. Take Brockton, a city in the South Shore area near Boston. The South Shore Health System Community Health Needs Assessment (CHNA): March, 2016 publishes that in the South Shore, Brockton reports the lowest median household income of $43,694. The two zip codes representing Brockton have the highest percentages of residents living below the FPL in the South Shore at 14 percent and 20.3 percent. In comparison, the state median household income for Massachusetts between 2009 and 2013, according to the 2015 Greater Worcester Community Health Assessment (CHA), was $66,866, and the rate of people living under the FPL was 11 percent. Brockton also has the highest rate of hospitalizations and emergency room (ER) visits related to substance abuse in the South Shore, exceeding state averages. 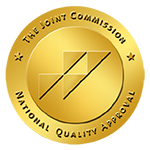 In 2012, approximately 636.2 residents per 100,000 population were hospitalized for substance abuse-related issues, which is nearly double the state rate of 362.4 people per 100,000 population. In addition, 1,868.9 residents of Brockton per 100,000 were treated for problems involving substance abuse in an ER as opposed to a state rate of 986.5 residents per 100,000 population. Rates of hospitalizations and ER visits are ways to gauge substance abuse patterns in an area; high rates likely indicate elevated levels of drug abuse and addiction. Worcester, a city in Central Massachusetts, also records higher-than-average rates of residents living below the FPL at 20 percent. Around one-quarter of Worcester residents receive public assistance, which is double the state rate of residents receiving it. The unemployment rate is high in Worcester as well, as 7 percent of the population is unemployed as compared to a state rate of 5.8 percent. Another socioeconomic factor that can play a role in drug abuse is education. Residents of Worcester have a lower high school graduation rate than Massachusetts residents overall; 84.3 percent of Worcester residents graduate high school versus a state rate of 89.4 percent. All of these things can factor into poor mental health, elevated rates of crime, and drug abuse and addiction. Rates of crime in Worcester are higher than state averages with violent crime rates in 2011 double state averages; the rate of violent crime in Worcester was 988 per 100,000 population as opposed to a state rate of 483 per 100,000 population. Residents of Worcester also report more poor mental health days per month at 15. Alcohol and heroin addiction treatment admissions are higher in Worcester than for Massachusetts overall, as 683 per 100,000 residents were admitted for alcohol addiction treatment in Worcester in 2013 versus a state rate of 507 per 100,000 population. In addition, 1,703 Worcester residents per 100,000 population were admitted for heroin addiction treatment as opposed to a state rate of 791 per 100,000 population. 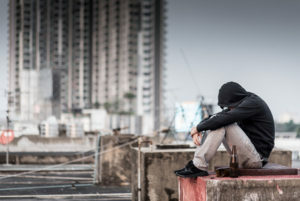 An unsafe local environment, crime, poor mental health, and financial strain can all contribute to high rates of substance abuse and addiction. Ethnic diversity and feelings of discrimination also influence drug abuse and addiction, creating high levels of stress as well as presenting barriers to treatment. Almost one-third of Worcester residents reported feeling discriminated against based on their skin color, race, or ethnicity. Located in Middlesex County, Massachusetts, the city of Lowell presents another example of racial and socioeconomic factors that may influence drug abuse and addiction rates. The 2016 Greater Lowell Community Health Needs Assessment (CHNA) publishes that Lowell has a high percentage of foreign-born (25.2 percent) residents and an ethnically diverse population as 42 percent of residents are non-white. The median household income for Lowell residents is below state averages at $49,164, and unemployment is higher at 6.5 percent. Substance abuse treatment admissions for Lowell are the highest in the region at 2,145 per 100,000 population in 2011 compared to the state rate of 1,590 per 100,000 population. Another regional snapshot presenting a clear correlation between drug use and socioeconomic factors in Massachusetts is evident in Boston communities and neighborhoods, as explained by the Boston Medical Center Community Health Needs Assessment (CHNA) Final Report: July 2016. The Roxbury neighborhood is the second most populous in Boston with 49,028 residents. Median income for Roxbury residents is significantly below the Boston median income of $55,448 at $25,254. Approximately 22 percent of Roxbury residents were considered to be current smokers, which was higher than the Boston average of 18 percent. Roxbury is ethnically and racially diverse with only 11 percent of residents being white only, 54 percent black or African American only, and 29 percent Hispanic or Latino. Rates of unemployment in Roxbury at 17 percent are much higher than the city average of 10 percent. One-quarter of Roxbury residents have less than a high school diploma compared to 15 percent of Boston residents in general. Approximately 38 percent of Roxbury residents live below the FPL versus a rate of 22 percent of Boston residents. Only 19 percent of Roxbury residents own their own homes. Roxbury had the highest percentage of residents in the Boston area who felt tense or anxious at least 15 days out of the past month at 29 percent versus a city rate of 20 percent in 2013. The overdose death rate in Roxbury for 2010-2013 was 166.3 per 100,000 population compared to a Boston rate of 100.7 per 100,000 population. In a state where WBUR publishes five people die on average from an opioid overdose every day, it is no surprise that big cities like Boston put up big numbers when it comes to overdose fatalities. Opioid overdose deaths across the state actually decreased just over 8 percent in 2017, as reported by the Boston Globe. This may not be due to less drug abuse but rather increasing availability of the opioid antagonist drug naloxone (Narcan); the drug is more frequently being administered to reverse overdose, and more people are therefore surviving them. The opioid epidemic is widespread, crossing culture, age, and socioeconomic barriers. Typically, white males between the ages of 25 and 34 are the most likely to suffer from an opioid overdose in Massachusetts; however, the rate of opioid overdose fatalities doubled in the Hispanic population between 2014 and 2016, the Boston Globe publishes. Opioid abuse and overdose deaths are not contained to urban areas and big cities either. Mass Live publishes that between 2015 and 2016, there were significant increases in opioid-related overdose fatalities in smaller towns and cities as well. A big driver in opioid overdose deaths is the emergence of fentanyl, a powerful and extremely potent synthetic opioid that is being mixed with heroin and cocaine, and pressed into counterfeit prescription medications. The Massachusetts DPH reports that fentanyl was involved in over 80 percent of all drug overdose fatalities in 2017. The Centers for Disease Control and Prevention (CDC) publishes that abuse of the illegal opiate heroin has increased across almost all demographic groups. While white males between the ages of 18 and 25 and those with no health insurance and low incomes still abuse heroin at the highest rates, increases were significant for demographics that normally see low rates of abuse. For example, increases in heroin abuse were recorded between 2002-2004 and 2011-2013 for individuals with private health insurance, higher incomes, those over the age of 26, and women. Heroin has long been considered a “street” drug, abused by urban populations, but the opioid abuse health crisis has carried the drug into wider and ever-expanding circles. The Boston Globe explains that wealthy and insured individuals in Massachusetts have had easy access to prescription opiates and do not see them as being as dangerous as illegal drugs since they are medications that can be prescribed by a doctor. More affluent and suburban individuals with health insurance are now regularly struggling with prescription opioid abuse and addiction, and as state and local legislation aims to control these medications better, heroin becomes a cheaper and easier-to-obtain alternative. In 2014, heroin was noted as the primary substance of abuse in more than half (53 percent) of all public and state-supported addiction treatment admissions in Massachusetts. The stigma surrounding heroin abuse and addiction is large, creating a barrier to treatment for many. Fortunately, organizations like the Massachusetts Organization for Addiction Recovery (MOAR) seek to overcome stigma and present residents of the Commonwealth with viable addiction treatment resources and support in recovery.